A report was recently released by the Toronto-based Center for Addiction and Mental Health in which the CAMH said that one of every eight Canadian teenagers plays social casino games online. The CAMH links the prevalence of free social casino games with the possibility that some of these teens might develop gambling problems later on. Let’s see how this connects to online casino games, if it does, at all. The report is another indication that online casinos might need to revisit their responsible gambling programs. Online casinos have a vested interest in having players play their games both for money and responsibly. This is the Achilles Heel of gambling in general just as excessive drinking is the Achilles Heel of the alcoholic beverage business and overeating is a problem for the fast food and snacks business. Everything in moderation is the key to keeping one’s activities under control so they stay under control. The study states that the problem is that social games are free. Underage gamers are not allowed to play at either online or land based casinos. But social games are considered acceptable activities simply because they are free. Social casino games include slots, poker, bingo, and a range of table games. There is no money involved. The “money” or prizes players win are entirely virtual. Nevertheless, the study claimed that some at-risk adolescents might be led by the presence of free games to look for the same games when the teens become adults. Then, they might bet too much on the games and develop a gambling problem. Online casino bonuses are the driving engine of online casinos. So casinos have to be vigilant from the moment a player accepts a bonus. According to the report, they asked 10,035 teens from the provinces of Ontario, Saskatchewan, and Newfoundland and Labrador about their social gaming activities. About 12% of the teens said that they had played social casino games at least once in the previous three months. 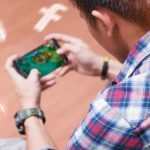 The study then said that the teens who played free games were “significantly more likely” to take part in “monetary” games by which they meant gambling. The survey did not distinguish between land based monetary games and online games. Two interesting statistical anomalies were also included in the report. The first said that from 37-50% of teens who both gambled for money and played social casino games met certain criteria that might classify them as having possible gambling problems. However, only 10% of teens who gambled for money but did not play social casino games showed similar tendencies to problem gambling. Thus, the study indicated that while there seems to be a correlation between social casino gaming and problem gambling it is not yet clear that there is causation. Just as adults with gambling problems miss their more urgent responsibilities, teens with a gambling problem miss teen-age activities such as after school activities and sports. It is interesting that the survey did not ask the teens if they skipped school to play free online social casino games. Adults with serious gambling disorders often skip going to work so they can gamble. Both online and land based casinos are very much aware that their business is dependent on responsible use of the chance to gamble. Casinos are a lot more likely to be regulated out of business because of problem gambling than are state run lotteries or race tracks. That may not be fair but it is the case. What can casinos do to reduce the incidence of problem gambling? Casinos have a set of guidelines for gamblers. Always see gambling as an entertainment. It is not a get rich scheme. Whatever you lose when you’re gambling is exactly the same as the price of a restaurant meal, a ticket to a concert, and so on. Find as many other activities to fill your free time as you can. Make gambling just one of many free time activities that you enjoy doing. Never play when you have drunk some alcoholic beverage. Keep drinking and gambling separate. Set a time frame for a gambling session and stick to it. Set a budget for gambling and stick to it. Save a percentage of each win. In this way, you’ll have money left over when you close the gambling session. Let the casino help you control your gambling. Online casinos have various programs to help gamblers keep their gambling within acceptable limits. One way is to set a budget that the casino has to honor. If the gambler tells the casino to allow say $200 per month, then the casino will quietly inform the player that he or she has already reached the self-imposed budget limit. Players can set a time limit with the casino as well. Most people with a gambling problem are well aware of it. They might be scared to death of it but they know they have it. Online casinos need to be able to direct players to organizations like CAMH that deal with gambling problems as well as other behavioral problems. Problem gambling is more complex than simply betting too much too often. There seems to be some evidence that men prefer masculine games like poker and women prefer feminine games like bingo or slots. It is the prevalence of men playing poker and women playing slots and bingo that lead researchers to define them as masculine or feminine games. Men are much less likely to become problem gamblers playing bingo and women are far less likely to become problem gamblers playing poker.